Every summer inquisitive visitors and even conspiracy theorists get the chance to look round Buckingham Palace and admire the interiors of the principal royal residence. 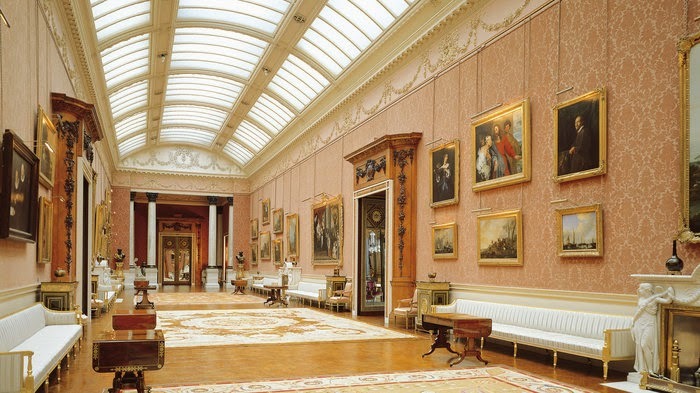 Visitors for the Summer Opening tour are permitted access to the nineteen State Rooms which are still used by the Royal Family to receive and entertain guests on state and ceremonial occasions. Decorated in lavish fashion, they include paintings by Rembrandt, Rubens and Canaletto, Sevres porcelain and some of the finest English and French furniture in the world. There are also some exquisite royal gifts, including Faberge Eggs, on display. In 2014 visitors to Buckingham Palace, The Queen's London residence, can see a special exhibition on 'Royal Childhood' as part of the Summer Opening of the State Rooms at Buckingham Palace. This is a fascinating opportunity to admire the taste - often wonderful, sometimes comically bad - of Britain's monarchy.